Disney Princesses As Indian Brides? Channel Your Inner Princess With These Looks. The purpose of this gorgeous shoot was to encapsulate how Disney, though predominantly white, can inspire and influence various ethnicities and races. The pictures were shot by wedding photographer Amrit Grewal after being approached by Wellgroomed, an Indian bridal store to do a photoshoot for their advertisement in South Asian Bride Magazine. Jasmine, from Wellgroomed conceptualised it and by collaborating with some of the best wedding vendors in the industry, they came out with a shoot that just beyond gorgeous. Snow white inspired bridal lehenga. This colour-blocked Snow White inspired bridal lehenga is gorgeous. 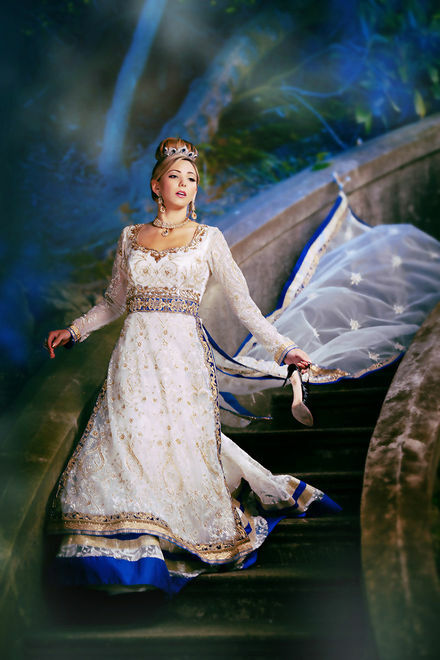 An anarkali lehenga for cinderella? Why not! This aqua saree for the sea princess in you. Perfect for a Sangeet night, maybe? 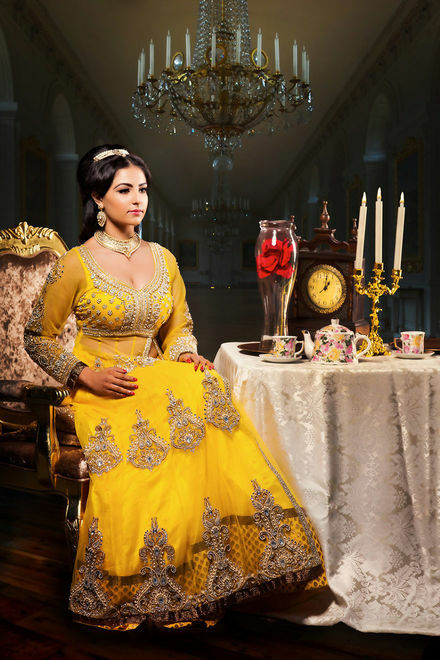 A gorgeous yellow lehenga inspired by Beauty and the Beast. 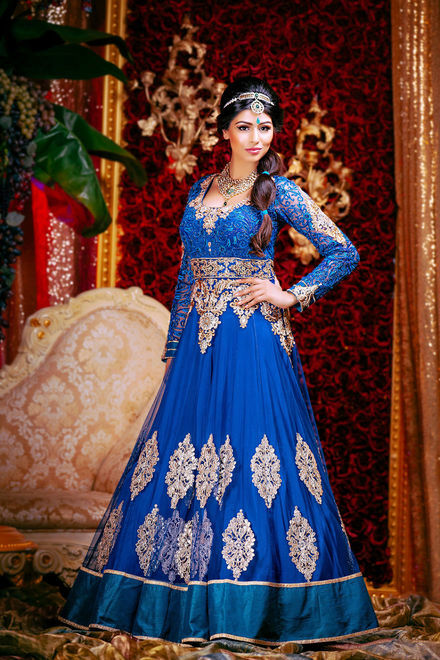 A deep-blue anarkali, Jasmine-inspired for sure. Kill it (figuratively) with this pink and white ensemble inspired by Mulan. Love how the straight cuts make it edgy yet the colour palette adds a feminine touch. 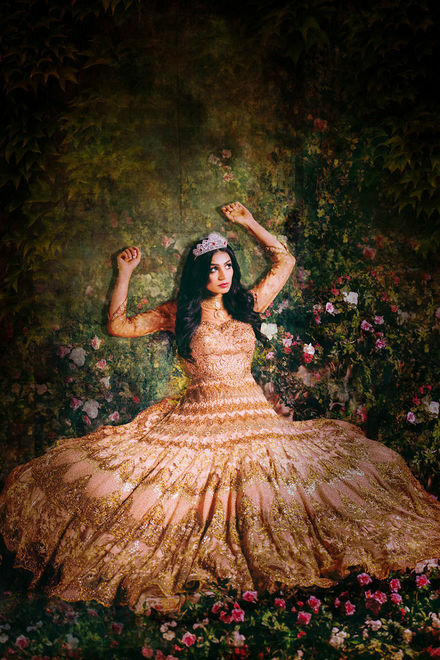 Light, pretty and princessy - this Rapunzel inspired lehenga is great for your Mehndi function. 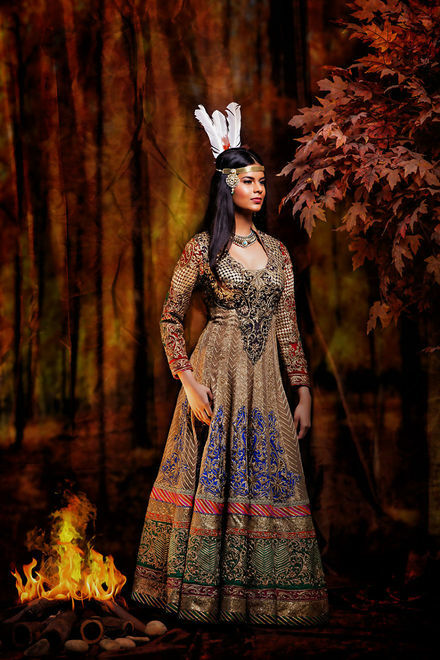 Earthy colours and a bold silhouette for a Pocahontas loving princess aka bride. 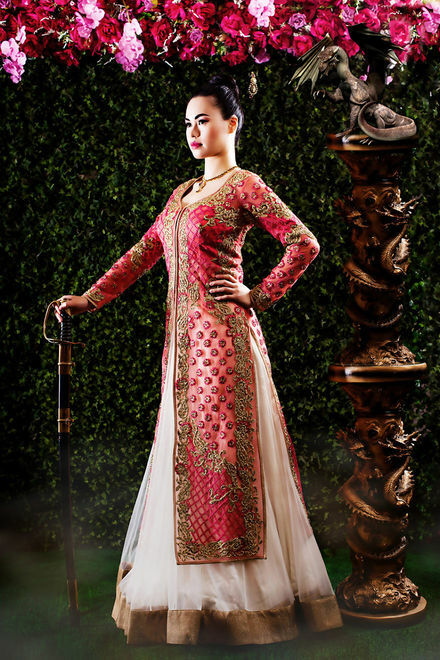 Aurora-inspired lehenga-gown in gold and pink? Yes, please!